What a nice surprise. I was sitting and doing a bit of doodle therapy in my journal when I received a package in the mail. It was a copy of my book What On Earth Do You Do When Someone Dies which has been translated into Icelandic! (Who would have thought.) 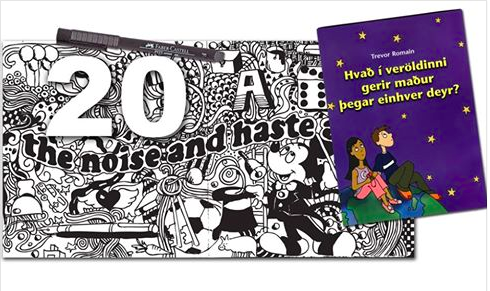 I’m thrilled to say that my books have now been published in 20 different languages.